Rabbi Irwin Katsof promotes close ties with Rick Perry, conservative Israelis, and energy companies, Wayne Barrett reports. Rick Perry’s only attempt to burnish his international credentials occurred in New York last month, when he put together a press conference to blast President Obama’s Israel policies on the heels of Bob Turner’s stunning victory in the special election for Anthony Weiner’s congressional district. Much of the press focused their attention on a beaming and still baby-faced 54-year-old rabbi, Irwin Katsof, whose cheek Perry was seen caressing. Politico reported that it asked Katsof in a phone interview before the event if he’d merely been currying favor with Perry when he flew him and an entourage of aides and family to Israel in 2007 and 2009 on grandiose pilgrimages, prompting Katsof to hang up. He wouldn’t get on the phone with us, but we’ve been exchanging emails for several days now, and surprisingly, Katsof is trying to put some distance between himself and Perry, insisting that he hasn’t endorsed him and played no role in organizing the press conference or related fundraisers. What emerges from our look at Katsof, however, is both a case study of the murky mercantile motives that sometimes undergird Perry's political alliances—and a scary peek at Perry’s gun-toting predilections that may go well beyond Texas. Katsof, who appears to be a singularly important bridge between Perry and Israel’s supporters in the U.S., is cut from a different cloth than some of Perry’s other more rabidly conservative backers, such as Dov Hikind, the longtime Brooklyn assemblyman, and Doug Feith, one of the Bush administration’s discredited architects of the Iraq invasion. The owner of a seven-and-a-half bedroom, six-and-a-half bath home with a pool in the upstate Orthodox enclave of Monsey, New York, Katsof has cut a large public profile over the years, writing a book with Larry King, leading organizations like his celebrity-driven America’s Voices in Israel, and gaining appointment this year to the 15-member U.S. Commerce Department’s International Trade Advisory Board on energy policy. His professional life has long been a blur of nonprofit and for-profit connections. And many of the prominent Americans he’s brought to Israel on missions ostensibly designed to promote relationships, business and otherwise, between the countries have wound up named in other Katsof documents as associated with his own—often mysterious—enterprises. 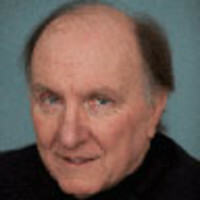 His politics are ostensibly more moderate than Feith’s or Hikind’s, but his own blog ties him to organizations that helped produce Obsession, which has been widely denounced as a “clash-of-civilizations,” anti-Muslim propaganda film that was mailed by the millions into swing states shortly before the 2008 election. HonestReporting is affiliated with Aish HaTorah, the international Orthodox organization that Jeffrey Goldberg in The Atlantic called “just about the most fundamentalist movement in Judaism today.” All of these affiliated groups, including the Clarion Fund (which distributed the video in 2008), have shared an address at one time or another, and six officials tied to the film, including the film’s producer, worked for Aish HaTorah (the brother of the producer ran HonestReporting). Katsof says he stepped down as the paid executive director of the Jerusalem Fund of Aish HaTorah at the end of 2004, and “terminated all relationships with Aish HaTorah,” though he concedes he became a board member for some period after leaving his job. In fact, his 2010 bio as a member of the board of directors of CMT Media, filed with the SEC, says he was executive director of the fund until December 2005. As recently as 2009, Katsof, who took his rabbinical training at Aish HaTorah, posted personal rabbinical blogs on Aish.com, the organization’s very popular website. In any event, it requires time and money to make a film like Obsession, which HonestReporting’s blog described as its own “newest documentary film” in an Oct. 27, 2005 post, when even Katsof concedes he still may have been attending Aish HaTorah meetings. He was associated with this constellation of groups when the project was launched long before this 2005 release, and he still cites with pride his role with HonestReporting and its affiliates in his bio on IrwinKatsof.com and other places. He avoided commenting on the film in his email exchanges with The Daily Beast by claiming he’d “never watched” Obsession or its more recent Clarion sequels. One of the reasons he may be trying to separate himself from the film is because the distribution of it by Clarion and the Republican Jewish Coalition in the weeks leading up to the election in 2008 has been criticized as a violation of Clarion’s tax-exempt status and a clear attempt to inject Islamophobia into swing state mailboxes across the country. He added that he also participated this year at a conference in San Antonio, where he spoke on Hispanic/Jewish relations at the invitation of “Democrat Henry Cisneros,” who actually hasn’t held elective office in 24 years and resigned as Bill Clinton’s HUD secretary a decade and a half ago. In fact, the conference was co-chaired by Rabbi Aryeh Scheinberg, who’s partnered with the controversial local pastor John Hagee for decades. Hagee, whose endorsement was rejected by John McCain in 2008 over his reported history of anti-Catholic and anti-Semitic comments, was listed as a honorary guest at the conference and his wife, Diana, participated as a panelist just like Katsof. In 2008, Hagee founded a well-financed support group, Christians United for Israel, and the RJC mailing of Obsession was largely done on CUFI’s postal permit. Scheinberg is the “rabbinical adviser” to CUFI and sits on its advisory board, while Perry is so comfortable with Hagee—who says Muslims are bound by a “scriptural mandate” in the Koran “to kill Christians and Jews”—that he asked him to participate in his prayer rally just before the presidential announcement. Joining Perry on one or both of his two Katsof-subsidized trips, each of which was nearly a weeklong, were Perry’s wife, son, son’s fiancée, daughter, and chief of staff. A Republican congresswoman and six high-level current and former members of the Bush administration led by John Ashcroft went on the trip. No national Democrat was listed for either. In addition to the RJC’s Halpern, Isaac Applbaum of Opus Capital was listed as attending one of the Katsof/Perry trips and participating in Perry’s recent New York fundraisers. In between these trips, Katsof was the keynote speaker at the 2009 dinner of Anita Perry’s nonprofit, Texans Against Sexual Assault, which honored state Sen. Florence Shapiro, another director of the RJC. While Katsof rightly points out that he’s been leading these delegations of prominent Americans to Israel since 1995, the two Perry-led missions were in three years was unprecedented, emblematic of that old evangelical/pro-Israeli Armageddon alliance. Katsof is a professional networker with a huge Rolodex, branded a “matchmaker for business” by a Republican congresswoman who joined him on one of the Perry trips. The difficulty in reporting about his business life is not so much figuring out whether his junkets and political alliances may also be tied to his business interests; it’s determining which far-flung, and often unsuccessful, interest is driving him at any given moment. The website of his company that sponsored the second trip in 2009, Doheny Global, for example, has so few specifics it’s almost impossible to determine if it ever did any deals, much less the ones it once publicly boasted about. Consider the coincidences surrounding the first Perry trip in June 2007. Three days before Katsof and Perry took flight on their first trip, the Texas governor signed off on a $33 million-a-year, Texas-sized subsidy of projects involving biomass: the carbon-generating, mostly wood substitute for coal that is finding root in Texas power generation, just as states like Massachusetts are imposing moratoriums on its development. And shortly after he got back from the seven-day powwow where he collected a Katsof “Friend of Zion” award, Perry announced a Texas Bioenergy Strategy, including a $5 million grant to his alma mater, Texas A&M, for biomass research. That November, New Biomass Energy LLC, was incorporated in Nevada by a business associate of Katsof’s, Neal Smaler. It has since developed its first torrefied wood pellet plant, located in Quitman, Miss., and Katsof and Smaler are two of its three managing partners. These actions marked a sea change from Perry’s prior support of ethanol as agriculture commissioner, with his new Texas subsidies emphasizing wood over corn conversion, precisely what the biomass industry wants. The multimillion-a-year subsidy bill Perry signed on June 19, 2007—HB 1090 (PDF)—was almost exactly concurrent with the launch of Texas’s first and the country’s largest biomass-fired power plant, a 100-megawatt facility that signed a 20-year agreement with Austin Energy to provide electricity to the capital city. Katsof’s website announced that at the time of this trip with Perry that its purpose included an effort “to promote” ventures “in gas and oil and bio tech.” Perry has become a leading champion of biomass, and Katsof now sits on the Commerce energy board as a representative of the biomass industry. In emails to The Daily Beast, Katsof insisted at first that he wasn’t involved with biomass development “until mid 2010,” then he modified that to 2009. But in April he told the Jewish Press: “In 2005, I entered the business world as a partner in a renewable energy company that is building a manufacturing plant for what is to be called ‘green bio coal,’ which is based on torrefied wood.” He now claims the quote is inaccurate, though he’s posted the clip on his own blog. Several attempts to get him to explain how a company he claims did not come into existence until 2009 could have been incorporated in 2007 failed to produce a clear explanation. His own official bio describes him as a “founding member” of New Biomass Energy. Katsof also told the Jewish Press that his “great partners” in the biomass company “don’t mind my spending time abroad,” orchestrating these Israel networking ventures. One of the dozens of corporate leaders who joined Perry on this first trip told The Daily Beast that Katsof seemed more focused at that time on homeland security business for Israeli firms. Perry’s fellow travelers did include Iraq administrator Paul Bremer, former attorney general John Ashcroft, and an assistant secretary of Homeland Security, Robert Liscouski, all of whom had, by then, stepped down from their Bush posts. Texas had a $1.7 billion allocation of federal Homeland Security funding and, according to this source, Katsof wanted to create “an investment bank that never materialized” around homeland security funding. He’d just received his Series 7 certification as a registered financial agent in 2006. Katsof concedes that at the time of the 2007 visit, he and his partners, two of whom were also listed as participants at the conference in Israel, “were exploring homeland security opportunities with Israeli companies but nothing developed.” In mid-July, right after the Perry trip, Katsof and ex-Homeland secretary Tom Ridge hosted a conference called Accessing Funds From the Defense Department and the Department of Homeland Security in Washington. Ridge attended Katsof’s 2008 mission to Israel, and Katsof formed a strategic partnership with Ridge’s consulting firm. The second Katsof-Perry trip, in August 2009, provoked an investigative piece by CBS Channel 11 in Texas, featuring Center for Responsive Politics director Sheila Krumholz, who raised questions about whether the trip was “political cover” for “government-brokered deals.” The state spent $70,000 on Perry’s security, refusing to release any information on other expenses, though most of the costs for the governor’s family, which included his daughter as well this time, were covered by Katsof. The mission statement for the trip on Katsof’s website was once again “gas and oil” and “bio-tech,” though homeland security had been deleted from the 2007 list. Perry got an award this time as well, the “Defender of Jerusalem” prize, created by a mysterious Brazil-to-Israel oilman who made billions in Texas natural gas, Guma Aguiar, fresh from a Florida pleading of no contest a couple weeks earlier on drug-possession charges. Katsof says he had “nothing” to do with the award presentation though it occurred on a mission he organized. Katsof was then deeply engaged in biomass and hydropower efforts in Eastern Europe, so he included on the trip a Texan with enormous influence in the Ukraine, Michael Bleyzer, who Katsof credited with “introducing” him to the U.S.-Ukraine Business Council, which is chaired by an officer in one of Bleyzer’s companies. Within a few months of the trip, Perry appointed Bleyzer to a prized position, as a member of Texas’s Emerging Technology Fund, which awards hundreds of millions in grants. Bleyzer would go on to become a campaign and inaugural donor to Perry. The trip also included executives from a Lithuanian power company that Katsof was trying to do business with, and executives from another energy company that credited Bleyzer for making them a part of the Ukrainian council. Katsof says he has “no idea” if the trip “did anything to solidify” the relationship between Bleyzer and Perry, minimizes Bleyzer’s role in his own Eastern European projects, and says that his firms “are no longer doing business there,” a familiar refrain. In 2008, Katsof traveled as the co-chair of an official U.S. mission to the Republic of Georgia with Robert Mosbacher, a close Perry friend and Bush appointee and at that time president of the Overseas Private Investment Corporation. Katsof announced that his Doheny firm would invest $175 million in six hydro plants there, which, like his hyped Latvia biomass plant, never came to fruition. American and Israeli partners in the booming exploration and production of natural gas off Israel’s coast, Houston-based Noble Energy and Israel-based Delek Energy, were also included in the 2009 five-day visit. In addition to being the so-called gas king of Israel, Delek gets 40 percent of its revenue from its 60,000-barrel-a-day refinery in Tyler, Texas, a plant it acquired in 2005 that’s regulated by Perry state regulators, including the Texas Railroad Commission, whose chairman also made the Katsof trip. The plant was shut down for months prior to the trip after an explosion there killed two workers and injured four others, with federal safety officials finding that the incident was attributable to 29 “willful” maintenance and repair violations by the company and fining it $217,350. Indeed, at the very moment of the trip, Delek was engaged in a major capital improvement at the plant, which was listed by a national environmental group as the fourth-worst polluting refinery in America. Katsof says he was unaware of Delek’s Texas debacle, acknowledging that the billionaire owner of Delek, Yitzchak Teshuva, and two other Delek executives did attend a small dinner meeting with Perry during the mission and did meet him. “I have no knowledge of what they discussed,” he said. After contending in repeated emails that he and his companies have “never attempted to do any business in Texas and never done any business in Texas,” Katsof eventually conceded that he was in fact a partner in Doheny Capital, a company registered in Austin in 2006 and active at the very moment of the first Perry trip. Doheny was involved in both trips, acting as a sponsor. The company was registered by James Oliver Sandlin, an Austin investor. Sandlin, Katsof, and a Katsof associate who went on the 2007 Perry trip became partners in California-based Bridgemark Capital, formed several months after the trip. Katsof insists he never met Sandlin and like many other Katsof ventures, he claims, conducted no business. Since so much of Katsof’s business life involves closely held entities and fantasy deals, it’s impossible to pinpoint just how he’s made his money. The only time a Katsof business deal reached the scandal stage was in 2000, when Barron’s and other business magazines exposed the intricate overlay between his Jerusalem Fund, his own personal finances, and two financial advisers, David Bodner and Murray Huberfeld, the latter two who’ve been slammed by the SEC and other oversight agencies before and after Katsof’s involvement with them. Katsof’s Google profile says he “arranged for” AOL Investments “to take an equity position” in two Israeli tech startups, and the CEOs of all three of the entities, including AOL Investments, were involved with his Aish HaTorah entities. Similarly, Huberfeld chaired the Katsof mission to Israel in 1998 that included Senator Biden even though the SEC charged Bodner, Huberfeld, and their company that year with trading violations that led to $4.7 million in penalties, on the heels of a similar 1996 finding that recouped $426,780 for unregistered trading. Katsof invested in a series of Bodner/Huberfeld deals and stoutly defended them even after the scandal blew, telling Barron’s that “we trust” them and they are “among the top philanthropists in the Jewish world.” Katsof says he still believes that, and while he did no further business with them since 2000, he sees them at social events and elsewhere. (Bodner is a Monsey neighbor.) The duo were associated in news stories at the time with David Shick, who pled guilty to a massive real-estate Ponzi scheme that defrauded Orthodox organizations and individuals here and in Israel of a reported $80 million. The Israel show that Perry staged in New York has more to do with this kind of business networking, at least from Katsof’s end, than inflamed perceptions of Obama policy on the 1967 borders. More ominously, the depth of the association with Katsof portends a Perry whose six-shooter is ready to fire at Bibi Netanyahu’s request. While Katsof gets sitting prime ministers to join him at these missions to Israel, including the Perry trips, Netanyahu, whose grandson’s bris was recently held at Aish HaTorah, has been a steady participant whether he’s in power or between terms. As prime minister in the late '90s, Netanyahu gave innovation awards to two of the high-tech companies Katsof was involved with, the one that paid the Katsof finder's fee used its Netanyahu award in the headline of the press release announcing the merger. Netanyahu stunned the American-Jewish establishment when as prime minister he appeared at Katsof’s Aish HaTorah $10,000-a-plate November 1997 dinner in Los Angeles. Though Katsof says he does not have “a personal relationship” with Netanyahu, he has clearly become a GOP go-between with Netanyahu’s Likud Party, a partisan bridge to Jerusalem. It certainly appears that Rick Perry, one more time, is aboard for the ride. Research assistance was provided by Emily Atkin, Matthew DeLuca, Kelly Knaub, Fausto Giovanny Pinto, and Andy Ross.